There are a lot of American cities on my bucket list. 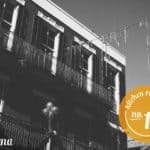 New Orleans has been on the list for a long time, and I finally checked it off earlier this year! My best friend moved to New Orleans to pursue her career as a chef and this was the first chance I had to visit. I flew in to NOLA on a Thursday night and took a cab to my friend’s place. There’s nothing better than hearing stories from a local in any city you’re visiting, so I asked my cab driver a ton of questions. He gave me a quick tour of the city as we drove, and I enjoyed hearing his stories and about his love for his city. After our delicious breakfast we headed out towards the famous French Quarter and historic Jackson Square. I expected New Orleans to be a very Southern styled city like Charleston or Savannah, so it was exciting to start exploring and realize the city’s flair was more European. 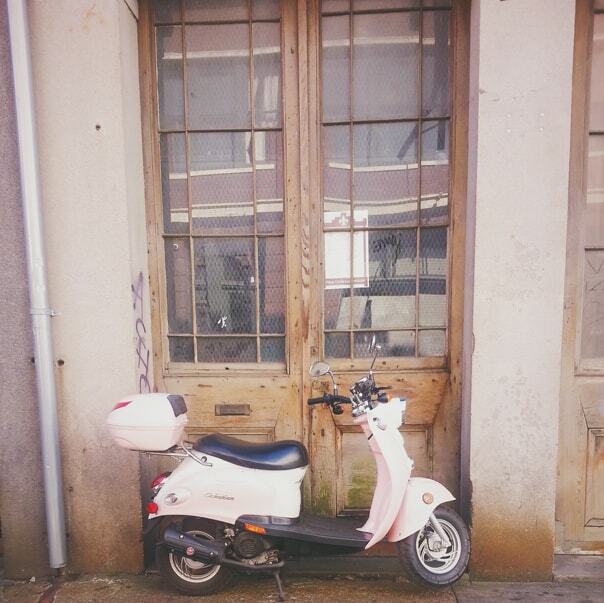 We spied this cute pink moped on our way to Jackson Square. Jackson Square is the historic park in heart of the French Quarter, and it’s always packed. 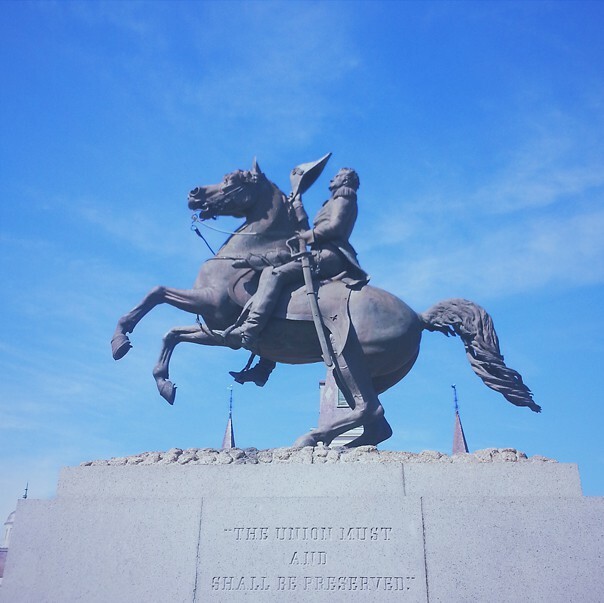 This statue of President Andrew Jackson is in the center of the square, where you’re sure to find the likes of street vendors, street performers, artists, psychics and fortune tellers. This very vibrant part of the city is a great spot for people-watching! You didn’t think I was going to skip over Café Du Monde, did you? Of course not! If you go to the Big Easy and you don’t stop at this historic coffee stand, you’re doing it all wrong. My best friend’s mom is from New Orleans, so I already knew about the amazingness of beignets, a deep-fried French doughnut. When we were younger, my friend would host beignet parties and we would eat ourselves sick. Getting to eat a beignet in NOLA was a must-do for this trip. In fact, I made sure to have a healthy diet of beignets every day I was there. Café Du Monde also sells a beignet mix to take home and relive the experience later! 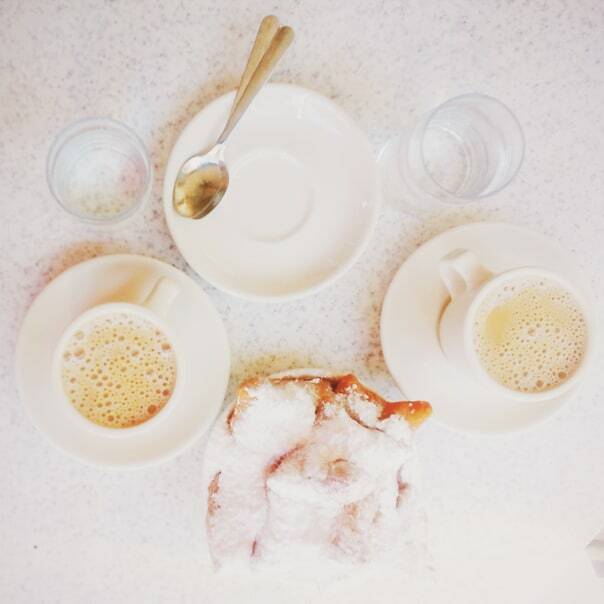 Pro tip: If you want to do Café du Monde like a true local, then don’t wait in line. Café du Monde doesn’t have hosts or hostesses. If you see a free table, all you have to do is walk right in and sit down — regardless of the long tourist line on the sidewalk! No local would be caught dead waiting in that line, and no employee or local would think twice about you grabbing that open table either. 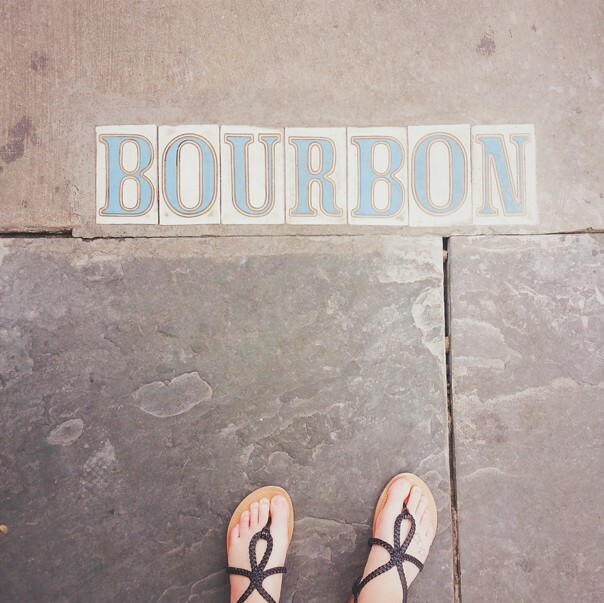 Click below to see more of Brittany’s New Orleans Travel Guide! Next, take the streetcar to the Garden District. 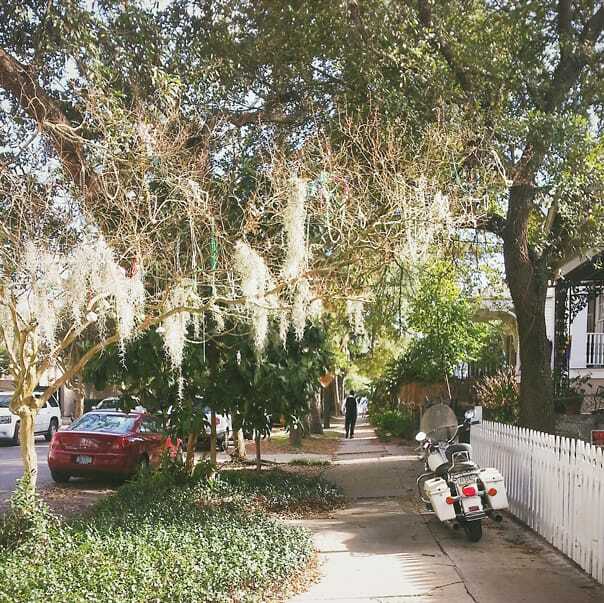 This part of New Orleans was absolutely gorgeous with huge houses and mossy trees. 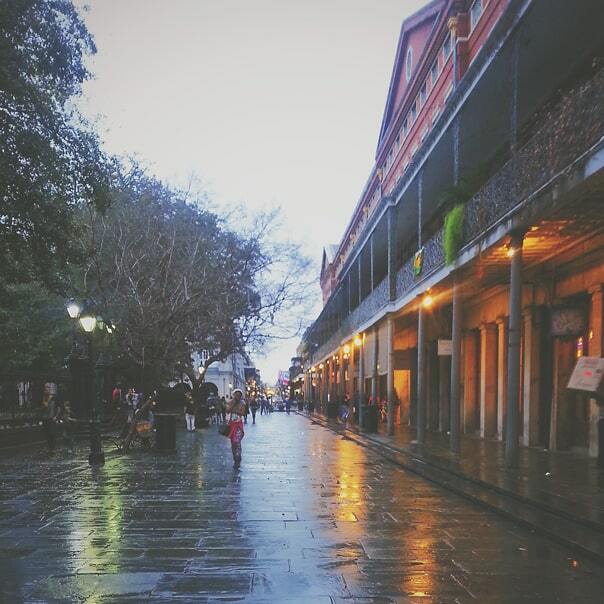 It’s much quieter than the bustling French Quarter and Bourbon Street, making it the perfect spot for a photo-walk! St. Charles Avenue is one of the main Mardi Gras parade thoroughfares, so there are usually lots of sparkly plastic beads in the trees. Be sure to take at least one streetcar during your visit. I loved traveling that way — it made me feel as though I was in another era. I wish we had them where I live! 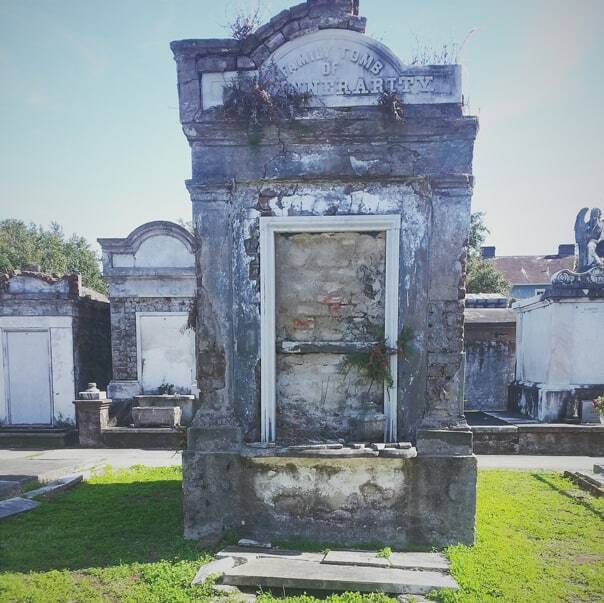 While in the Garden District, we visited Lafayette Cemetery No. 1, the oldest cemetery in the city. 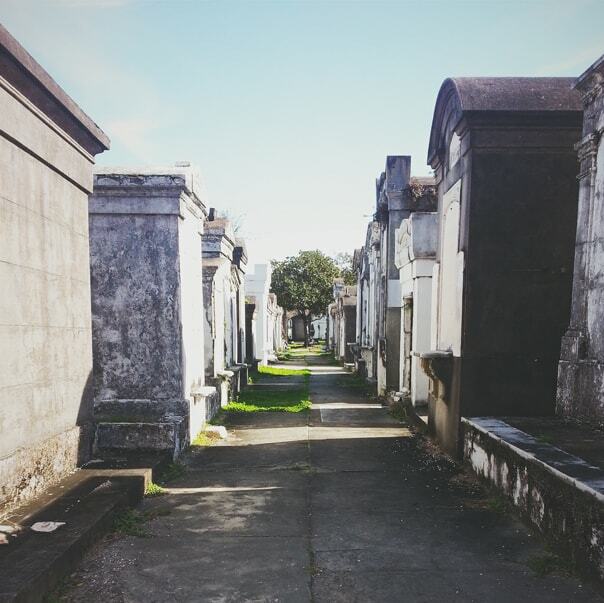 New Orleans is known for the extravagant graves and ornate tombs in its cemeteries. We took our time wandering through the cemetery, learning about some of the people buried there. Some of the more famous graves are those of Brigadier General Harry T. Hays, who led the 1st Louisiana Brigade, and the Brunie family, who were notable jazz musicians associated with Papa Laine and the New Orleans Rhythm Kings. After the cemetery, we stopped in a cool store called Defend New Orleans that had a great selection of gifts like stickers, books and apparel that was less touristy than the shops in the Quarter. On my second day in NOLA, I took on Bourbon Street and Mardi Gras. Because my friend had to work during the day, I spent time doing all things touristy — namely Bourbon Street! I don’t think this street ever stops partying! Exploring the French Quarter was really delightful. I made sure to walk up and down each street to take in all of the people and sights. 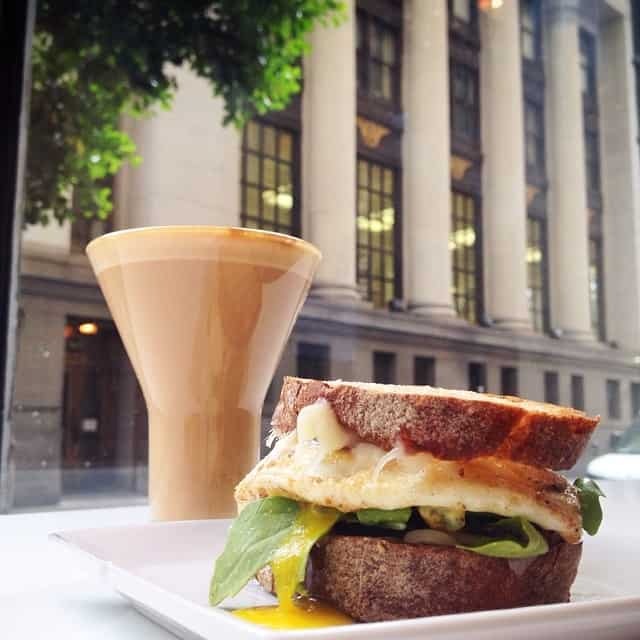 There’s a lot to look at, so plan a to spend a good chunk of time here. Pro tip: At any bar in this party city, you can get your drink to-go because they don’t have open container laws (like we have in North Carolina). Just ask for your drink in a “go cup” when you order and you can sip your drink on the street. 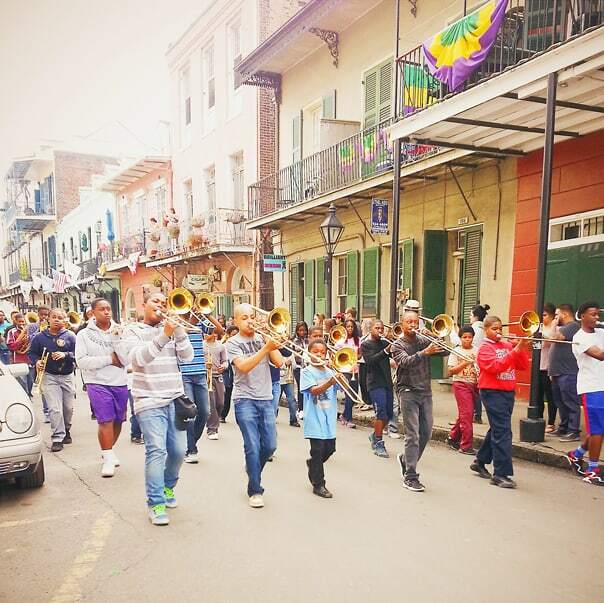 While exploring the French Quarter, it’s not unusual to see spontaneous parades come out of nowhere. One if the parades I came across was a second line parade. A New Orleans wedding tradition, a second line parade is a brass band that follows a bride and groom after their nuptials. I also saw a Mardi Gras parade and a group of kids performing with brass instruments. My friend told me about a Mardi Gras parade tracker app that I used to map out my day and catch any parades I really wanted to see. My favorite was the Krewe of Freret parade — such elaborate, intricate floats. In short: People will lose their minds just to get some beads during a parade. 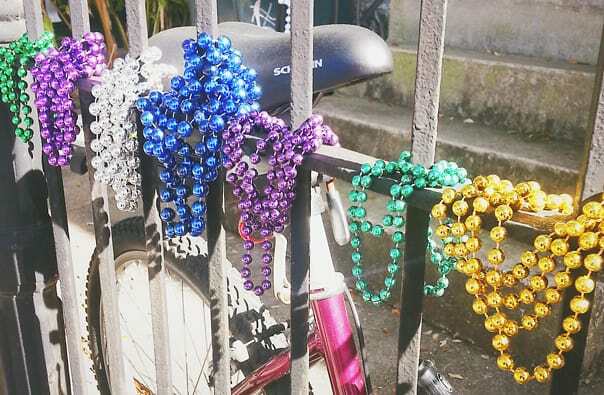 Pro tip: Don’t even think about picking up beads you find on the ground, even though it’s tempting to build a huge collection. 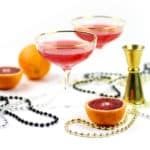 It’s bad Mardi Gras mojo and it’s also just plain gross. I spent my final day in the Big Easy sipping cocktails, eating more fantastic food and visiting the National World War II museum. Much of my day was spent inside because of a huge thunderstorm that drenched the city. We started the day at Kingfish, a restaurant and cocktail bar. My friend ordered the Creole Coffee, which is coffee with Cruzan Black Strap Rum, demerara syrup and cream. 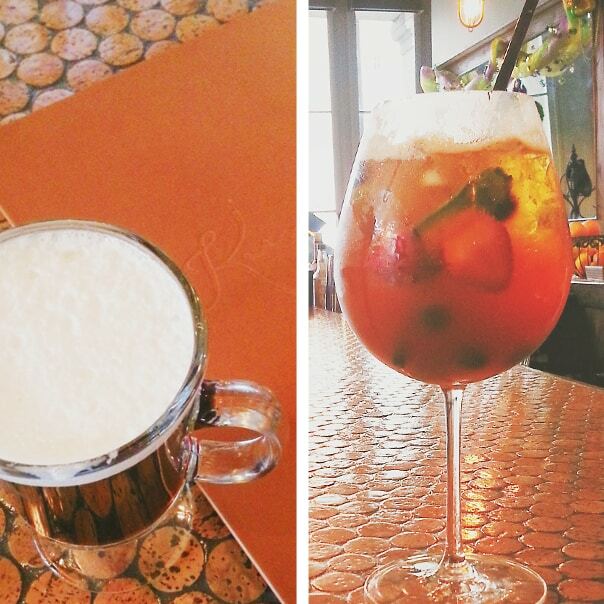 I ordered a giant Pimm’s Cup with Pimm’s, lemon, seasonal berries, cucumber and soda. 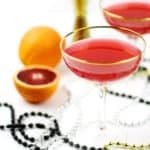 Another must-have drink in New Orleans is the Hurricane, a drink of rum, fruit juice and grenadine. Both the drinks we had were delicious and fueled us for our trek to Peaches Record Store, where I bought a Sam Cooke record to take home. After lunch, I headed to the National World War II Museum nearby. The attention to detail, stories, and artifacts there are outstanding, and I left with an even deeper appreciation for history and those who serve and have served our country. It’s a must-see when you visit New Orleans. They even have an old-fashioned soda shop inside the museum that’s worth checking out. Great post! 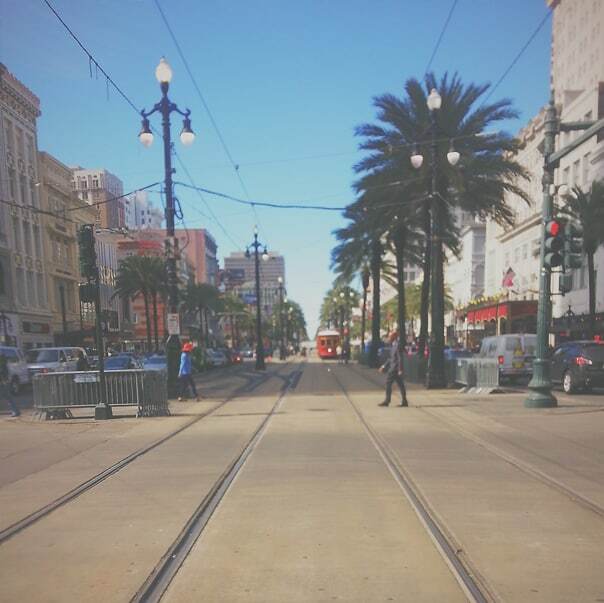 I’ve been to NOLA several times and always love it. 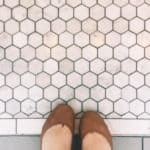 I thought this was a fantastic post outlining some of the great places to visit. Fantastic photos, too! 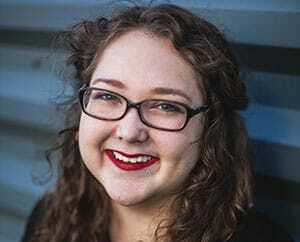 Well done, Brittany. Thanks Mindy! I had so much fun and can’t wait to go back. It has been a long time since my visit to New Orleans. I totally enjoyed my return visit through Brittany’s post. Beautiful photos and great suggestions for the next trip. Thanks Diane! NOLA is the best. 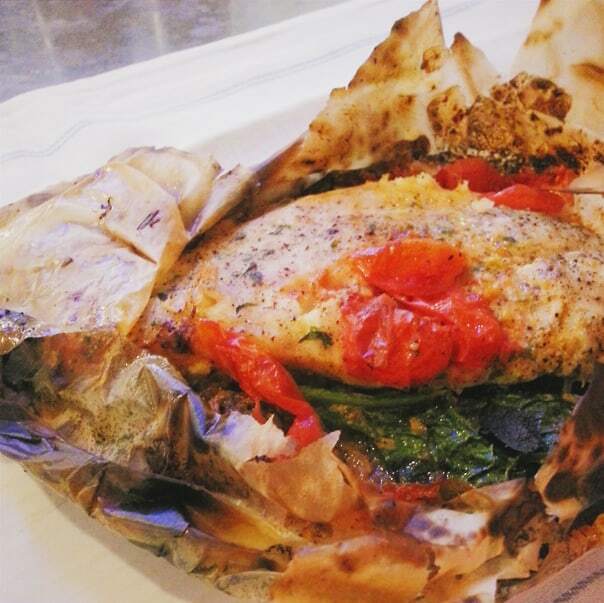 I can’t wait to hear about your next visit!